Touch your child's heart with lesson plans that include colorful music and visuals in the Horizons Preschool Multimedia Set from Alpha Omega Publications! 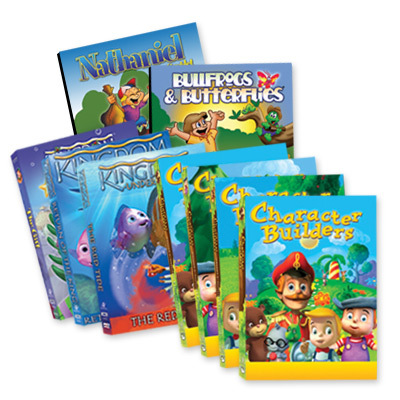 This set teaches godly values instilled through upbeat songs and family-friendly videos that include titles like The Amazing Bible Series, Music Machine®, Bullfrogs and Butterflies®, Agapeland Adventures, Character Builders, Kingdom Under the Sea®, Rev-Up for Learning, and more! Used alone or in conjunction with lesson themes, activities, and games presented in the Horizons Preschool Curriculum Set, these engaging resources develop a love of music and keep children bubbling over with God's love! Order the Horizons Preschool Multimedia Set from Alpha Omega Publications today and start your child on a lifelong discovery of God's love.